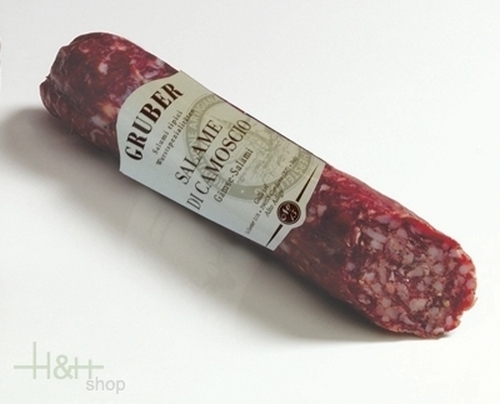 We offer you here a South Tyrolean salami chamoix type approx. 220 gr., made the butcher's shop Gruber in craft way after traditional recipe. 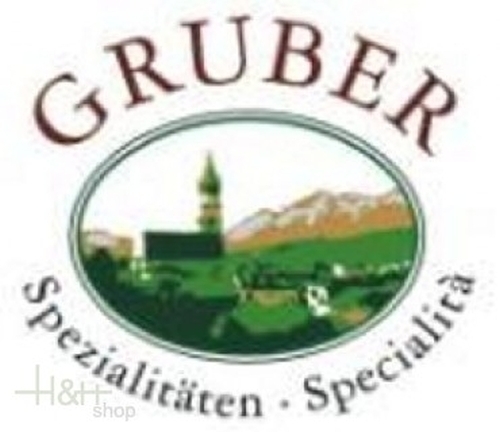 For many years the butcher's shop Gruber has specialised in the production of sausage products and wild products, and is well known in the outside of South Tyrol's borders. Buy now this product together with Small sausages without skin 3 pieces vac. Nocker app. 250 gr. ready for shipment: in stock Small sausages without skin 3 pieces vac. Nocker app. 250 gr.